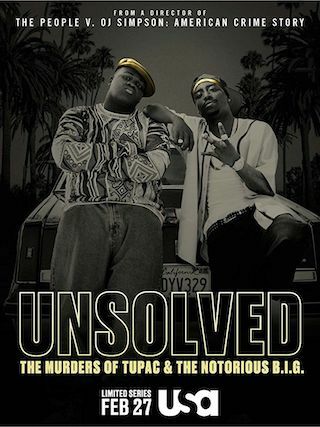 Unsolved: The Murders of Tupac & The Notorious B.I.G. is an American 60 minute scripted crime television series, which kicked off on February 27, 2018, on USA Network and is broadcast every Tuesday at 22:00. The show is currently in its 1st season. Unsolved: The Murders of Tupac and The Notorious B.I.G. is a scripted true crime serial that chronicles the two major police investigations by LAPD Detective Greg Kading into the murders of Tupac Shakur and Biggie Smalls.